Here is an article on seven predicted Green Trends expected to be dominant in 2010. Are there any trends you think will emerge this year? 2. A Foam Core Panel? 3. A Curtain Wall Panel? 8. None of the above? 9. Some of the above? There is some confusion in the marketplace today resulting from sloppy use of terminology which could be confusing to the consumer. The term SIP is a contraction of a term used to describe a family of building components that can include Sandwich Panels & Stressed-Skin panels which include insulation made from a variety of skins and cores. The long history of SIPs has been laced with many changes. The basic concept of a SIP is one of doing much more with less. The basic engineering premise behind SIPs is to use less material to produce a building component that is both relatively light and tremendously strong. The early years of SIP development preceeded the common use of insulation in buildings and the advent of rigid foam insulations. Prior to the use of rigid insulation as the core and shear transfer media for a panel, the space between the skins of a panel were made of other materials, such as cardboard, eggcrate style fillers and lumber. One of the early applications and still in common use today was the production of hollow core doors using thin wood veneers and eggcrate style wood fiber centers. In higher stress applications like building panels these early panels used lumber to secure the skins against buckling and transfer shear stresses between the skins. Connections between the skins and lumber were through nails, screws and adhesives. These panels did not normally contain insulating material, but by the nature of the trapped air space and airtightness, they undoubtedly performed better thermally than uninsulated stud frame construction. New insulation material technology in the form of rigid foam plastic and fiberglass found their way into the market place after World War II. Fiberglass offered greater insulating ability than a trapped air space and could be used in a SIP built with lumber. This configuration could certainly qualify as a Structural Insulated Panel. The rigid foam insulations provided a new option to the core of a panel. It was discovered that simply laminating the rigid foam between skins produced a thermally and structurally superior building panel without the reliance on lumber in the core. The American Plywood Association, USDA Forest Products Lab and others did extensive engineering and testing of these two basic types of panels in the 1950’s and 60’s. The design characteristics of panels using both lumber and foam cores were mathematically modeled and the equations tested to verify their accuracy in predicting performance with various types of skins and cores under different load conditions. PDS (Plywood Design Specification) Supplement Three—Design and Fabrication of Plywood Stressed-Skin Panels. PDS (Plywood Design Specification) Supplement Four—Design and Fabrication of Plywood Sandwich Panels. In the 1960’s APA succeeded in getting these Specifications adopted by the Model Building Code Agencies. Supplement Three was updated in August of 1990 and Supplement Four in March of 1990 and these revisions were adopted by the three Model Building Codes agencies, BOCA, SBCCI, UBC. These three agencies later merged into the International Code Council (ICC). The engineering criteria set forth in these APA Supplements were the basis for design calculation and testing of all Code Listed Structural Insulated Panel Systems starting in the early 80s. Following are some Frequently Asked Questions about SIPs. Question: Is a Stressed-Skin Panel a SIP? This is one of the most abused terms in common use in the panel industry. If the Stressed-Skin Panel does not contain insulation it could not be correctly referred to as a Structural Insulated Panel but only as a Structural Panel SP. If it were insulated with fiberglass or foam it could be correctly referred to as a SIP. This term has also seen many confusing variations such as: Stresskin, Stresskinned, Stress Skin, Stress Skinned. 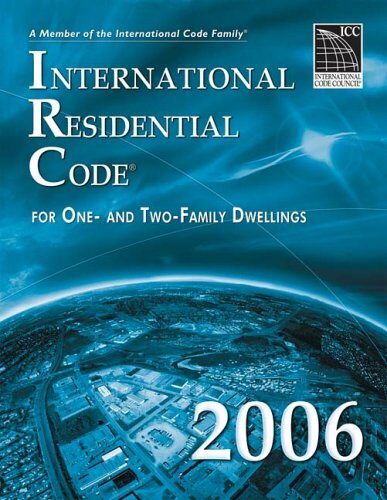 These terms are commonly used interchangeably and could lead to a problem if the customer orders a Stressed-Skin Panel and the building inspector approves the use of Stressed-Skin Panel and what arrives is a Sandwich Panel SIP as defined now in the IRC. Or worse, if a Sandwich Panel is expected and a Stressed Skin Panel arrives with no insulation. Answer: No in most cases, but yes in some. Is a Foam Core Panel A SIP? Foam Core Panel is a non-specific term in reference to the Building Codes. It has commonly been used in describing a Sandwich Panel, but confuses the purer definitions APA established years ago. Strictly speaking a Stressed-Skin panel could be insulated with rigid foam. If this were done would it then qualify as a Foam Core Panel? In my opinion this term should be discarded. Answer: Yes, but let’s not use the term again. Is a SIP structural? By their nature SIPs are structural. They are intended to carry loads. If they were not intended to carry loads there would be little need to securely laminate a Sandwich Panel or Nail a Stressed-Skin Panel. Sandwich Panels and Stressed-Skin Panels as types of SIPs carry and transfer loads in similar fashions. In recent years it has become a poor practice to refer to panels attached to other structural systems such as steel framing, timber framing, etc, as non-structural panels. Panels used in these applications are also commonly referred to as curtain wall panels because they close these structures with a curtain like affect. I think this is also a poor way to refer to a SIP, after all would you want the panels attached to one of these systems to blow around in a curtain like fashion. No, of course not. We expect and need the SIPs used in these applications to be rigid structural members. They must resist significant wind loads when used on walls and support snow, wind and dead loads on roof applications. In most cases they also contribute significant racking diaphragm stiffness to the Structural framework. It is hard to imagine how we could refer to these panels as non-structural curtains. The only type of load curtain wall panels do not normally see is axial load in walls. Even in walls however we expect the panels to support windows, doors and often other structural components such as beams. These are axial loads. Is a SIP ever Non-Structural? Language and terms are ever changing. But our ability to communicate precisely without confusion is founded in the understanding of the evolution of these terms and definitions. If the buyer is to get what they expect it is essential that the terminology is well understood and conforms to legal definitions. If a manufacturer or builder is prone to using inappropriate terminology and glossing over a lack of technical data that is in strict conformance with the Building Code, be very cautious. Thought everyone might be interested to see the photos from the raising we did two weeks ago. Don’t forget to leave some comments we’d love to hear what you think!